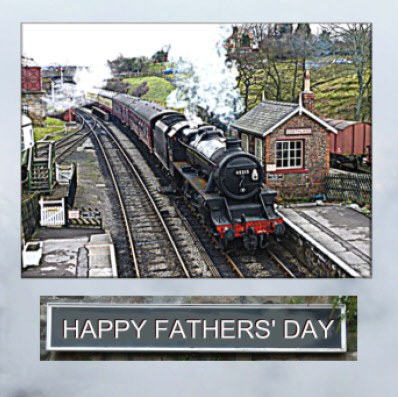 If your dad is 'into' steam, then here are a couple of cards that he may enjoy.The greetings at the front of the card can all be removed and your own greeting added so you can use the designs for any occasion. Some greetings would also suit a birthday card for your dad. 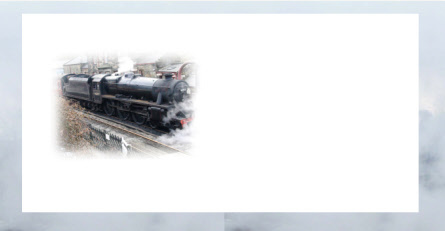 The first is based on a photo taken at Goathland station in North Yorkshire. Goathland was the location for the TV series Heartbeat and so also doubles as Aidensfield. 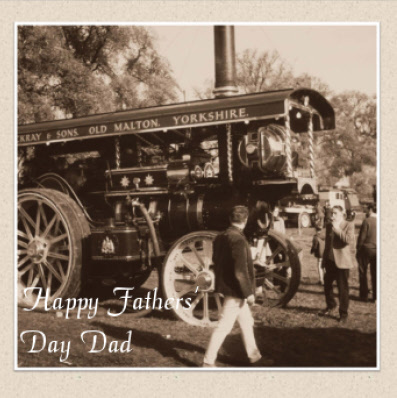 The second photo was one that I found in my husband's photo collection and was taken of a traction engine at a steam rally in 1969. 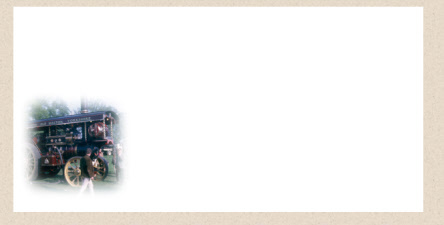 It wasn't actually a sepia photo but the addition of a sepia tuint seemed appropriate.